Dolby Atmos surround sound is one of the best upgrades you can make to your home theater room, but achieving such a setup can be both expensive and complicated. Thankfully, audio tech company Damson has announced a new modular Dolby Atmos home speaker system, the Damson S-Series, that promises both affordability and flexibility. 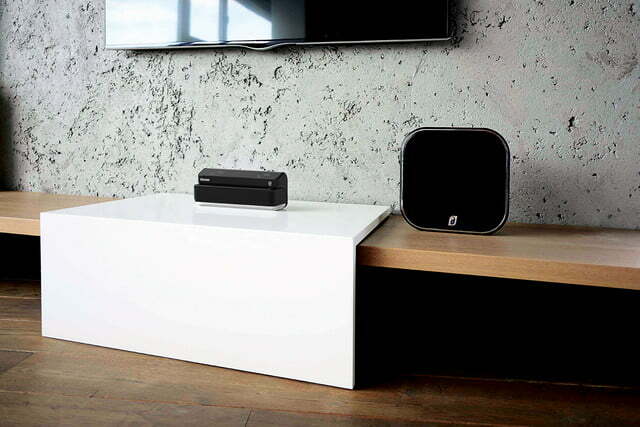 The new collection includes the S-Atmos speaker, S-Cube wireless speaker, the S-Bar sound bar, and S-Woofer subwoofer. At the core of the system is the S-Bar soundbar, which acts as a wireless hub for the rest of the system. The S-Bar runs six 42mm drives with a claimed frequency range of 120-280Hz. It is operated with an included remote control, as well as via volume controls on the bar itself. As its name implies, the S-Atmos speaker functions as the Atmos channel. The speaker has two 42mm drivers firing at a 70-degree vertical incline toward the ceiling to bounce sound down at the listener, achieving the height channel. 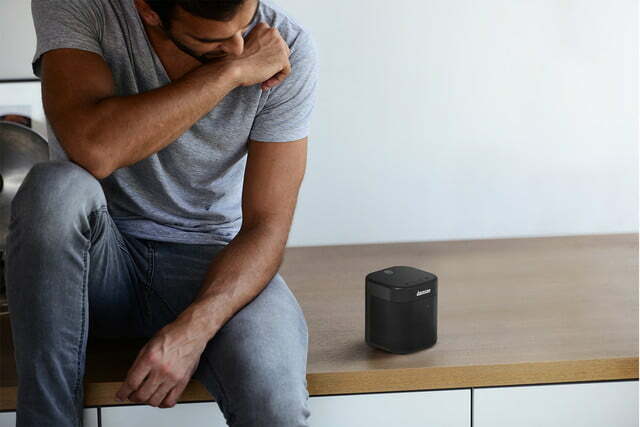 Each S-Cube wireless speaker has four 42mm drivers and a 78mm woofer. In each speaker is a 7,800mAh battery which Damson claims can last up to eight hours at 70 percent volume, with a total charge time of three hours. You read that right: fully wireless surround speakers with no speaker wire to run, and no power cable to plug in. That should help with hassle-free setup and flexible placement. 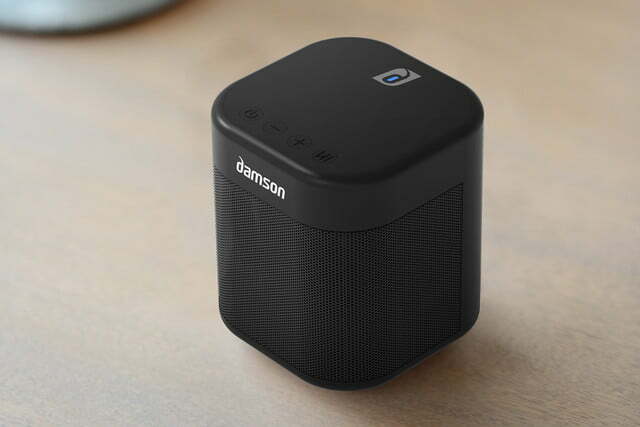 In addition to the Damson’s JetStreamNet network connectivity — which we explain further down, the S-Cubes also sport aux-in ports and Bluetooth support so they can be used anywhere in the home to deliver wireless music. Finally, the S-Woofer, which acts as a connection hub for devices like a game console or Blu-ray player, includes two HDMI ports, a 3.5mm analog port, and Bluetooth connection. The system can decode all Dolby audio formats, including Dolby Atmos via Dolby Digital Plus and Dolby TrueHD. If it seems like we’re talking up Dolby Atmos as if its a big deal, that’s because it is. Dolby Atmos is a surround sound format that uses height channels — either directly installed over head or bounced off the ceiling like the S-Atmos does — to create a three-dimensional sound environment. This creates an incredibly immersive cinematic experience that can’t be replicated by normal surround sound. 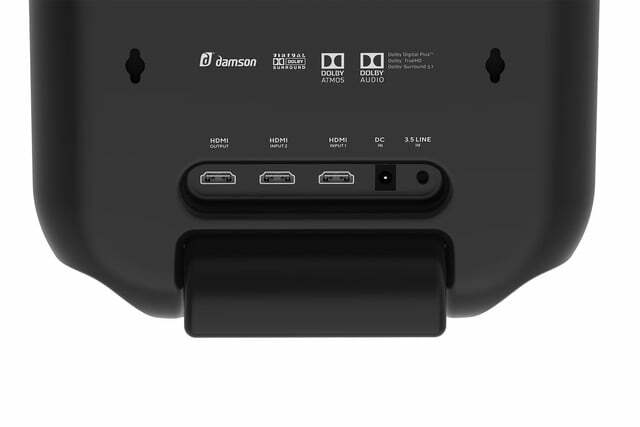 Thanks to Damson’s propriety wireless connection network, JetStreamNet, users can connect up to eight total speakers for a variety of setups. JetStreamNet connections have a range of up to 150 feet, which should help make the process of settling on the proper configuration for an Atmos setup in your home theater room easier. 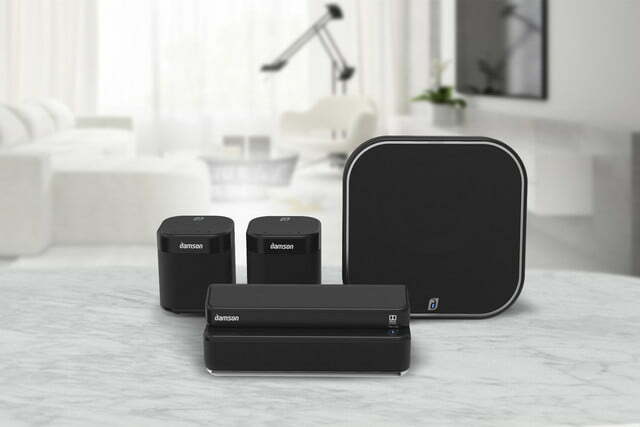 The core package includes an S-Atmos speaker, two S-Cube wireless speakers, the S-Bar, and S-Woofer for $800. That’s a whole lot cheaper than what you’ll find many other Dolby Atmos speaker systems going for. You can pre-order the series now from directly from Damson. Orders will begin shipping in early 2018.